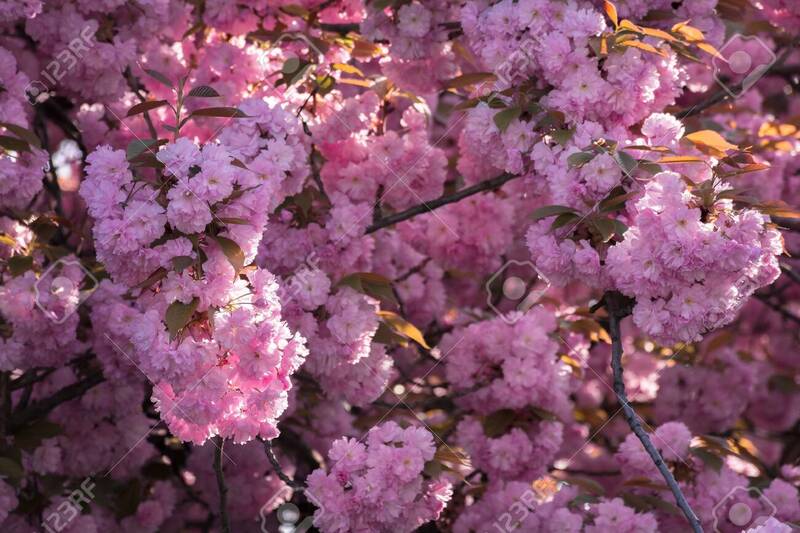 Pink Cherry Blossom Background. Ample Tree Buds. Wonderful Nature.. Stock Photo, Picture And Royalty Free Image. Image 116824893.